Affiliate marketing is one of the best ways to make money online. With display ads being a dying breed, affiliate marketing with skill and tact is more important than ever to your income strategy. Done correctly, affiliate marketing can be one of the least intrusive and most profitable money-making strategies for your blog. 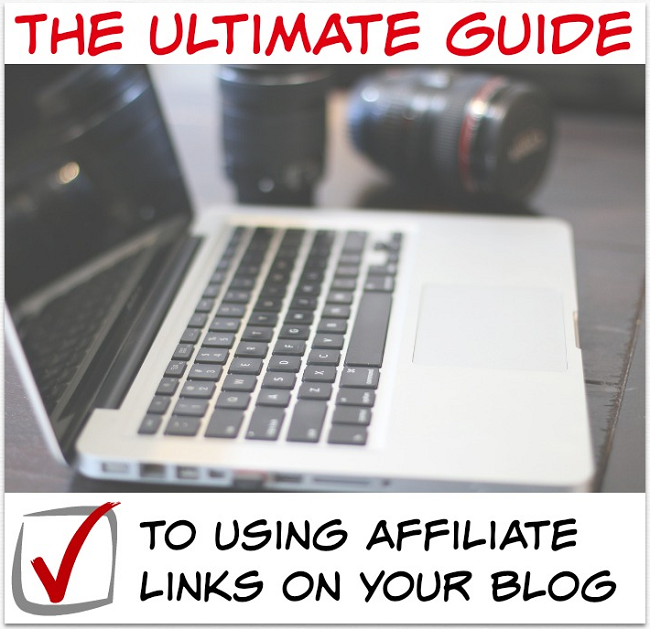 Let’s start by defining an “affiliate link” for you. Affiliate linking is the process of promoting a company or product and receiving a monetary reward when a sale is made through your recommendation. All of that extra stuff is what is necessary to track the link and ensure that you get the credit for the sale after someone clicks the link. An example of an affiliate link in a post is this: I love the Canon 70D DSLR camera and highly recommend it for any blogger. Affiliate marketing sometimes gets a bad rap. A lot of spammers set up sites with useless content and tons of affiliate links in hopes of getting rich quick. In very few instances, this does work. 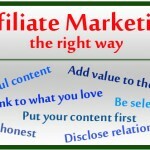 However, affiliate marketing can be an awesome tool for your existing blog. This post will cover some best practices when to comes to affiliate marketing in addition to specific strategies that have earned me almost 6-figures in income over the past few years. Viglink – I love VigLink because they track very well. They also have access to about 35,000 merchants. If you only decide to monetize via affiliates one way, join VigLink. Creating specific product links is a breeze and you can monetize just about any store you can think of with their massive library of merchants. The best part? They offer exclusive high commission rates for some merchants (like Nordstrom, for example). Their reporting also shows which exact pages on your site are converting, which links are, and what people are buying. That stuff is very helpful in gauging what is working and what isn’t. Be open about getting paid. 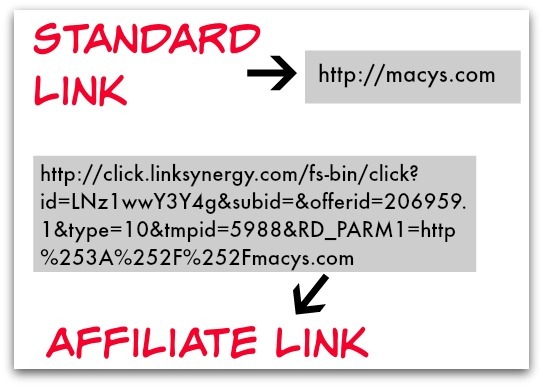 This is the most important thing I can say about using affiliate links on your blog is to do it the right way. The FTC requires you to disclose your relationship with affiliates. So take care of that before you do anything else. Good affiliate networks will require you to have a disclosure policy in place before using their links. Another reason you want to be open about links being affiliate links is that you want to come across as open and honest with your readers. If your content is good and you are likable, people will want to help you out. If they know that purchasing a product through your link will earn you some money, they may be more inclined to do so. Being likable here is key. If you’re not likable, why would anyone want to help you out? Also, if you are not honest about your affiliate links and people catch on, you’ll lose credibility on your blog – which can be devastating to your traffic and readership. While it’s easy to get caught up in the idea of promoting every product on the market with affiliate links, you have to be careful no to spam your readers. You don’t want to be known as a blogger who is just constantly pushing products. Why would I take recommendations seriously from someone who endorses a different product every day? There’s no way you can honestly recommend 6 different microwaves. (Maybe there is, but you catch my drift.) There has to be balance with the way you use affiliate links and recommend products. It’s sort of an art, but I always tell people to consider themselves as a reader of their own blog. What would seem pushy and spammy to them? Now, while you don’t necessarily want to promote everything under the sun, you do want the ability to do so. What I mean here is that if you wind up talking about a certain Chicco stroller, it would be nice to already be a part of their affiliate program. This way, you can include an affiliate link right when your post goes live. The more programs you are joined with, the more chances you have of being able to use affiliate links when talking about products. Why would someone use your link? When you are placing an affiliate link, ask yourself the question: “why would someone click this link?” If you cannot answer that question, you probably shouldn’t insert that link. If you’ve offered an honest review of the product, or if you’ve talked about a positive experience with that product, you are giving your readers a reason to click the link and you’re adding value to the post. Just randomly putting a link with no background and your endorsement is obviously forced, you’re not going to get any activity and you will eventually lose readers because they will pick up on your lack of content and surplus of links. If you can show yourself with the product, that will go a long way. Obviously, an endorsement is much more believable when people can actually see you using the product. So many bloggers promote products simply because they want to earn money. A lot of times, it’s for products they wouldn’t even use or recommend if there wasn’t a financial incentive. When people see that you actually are using the product that you are endorsing, they are so much more likely to consider purchasing the product. When you endorse a product on your site, that product becomes an extension of your site. If you recommend a bad product, you’ll be certain that you will hear about it and your reputation for recommending useful, quality products will go out the window. Also, it goes without saying that it is in incredibly bad taste to knowing promote a bad product just for the sake of getting paid. Use direct links when you can. Most affiliate networks let you create what are called “deep links” for products. This is a direct link to the specific product page that you are referring to. It’s much easier to convert a sale if you are leading your reader as close to the purchase page as possible. Leading to the homepage and making your reader find it from there is not ideal for a sale. 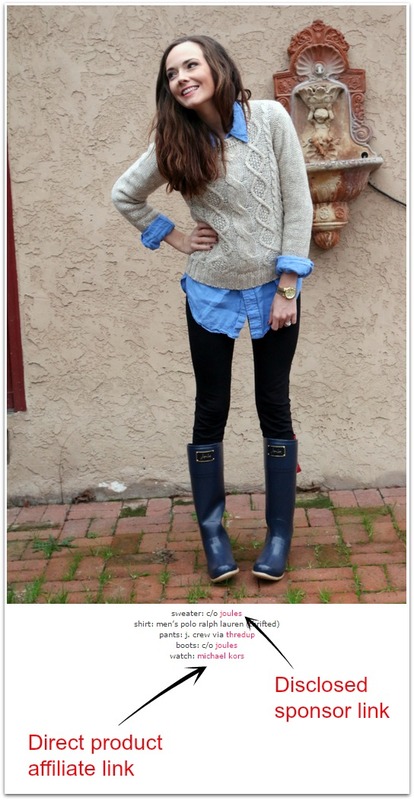 My wife is a blogger at KatieDidWhat.com, here’s a post from her blog. This was on a post about the outfit that she’s wearing in the picture. The links add value to the post because the reader can see more information or even purchase pieces from her outfit very easily via the links. The “c/o” links are explained further in the disclosure policy, but “c/o” stands for “care of”, meaning that the item was provided to her by the company linked. As you can see, the links are natural looking and add value to the post. That is what using affiliate links in blogging is all about. As you can see, this post is providing a nice value to the reader. This is actually the 2nd post like this I’ve done, due to its popularity. I am providing something that people want, and am including my own affiliate links where appropriate. They are not out of place and flow very naturally in the post. I hope I’m driving the point home that affiliate links should be natural and should add value to your content. 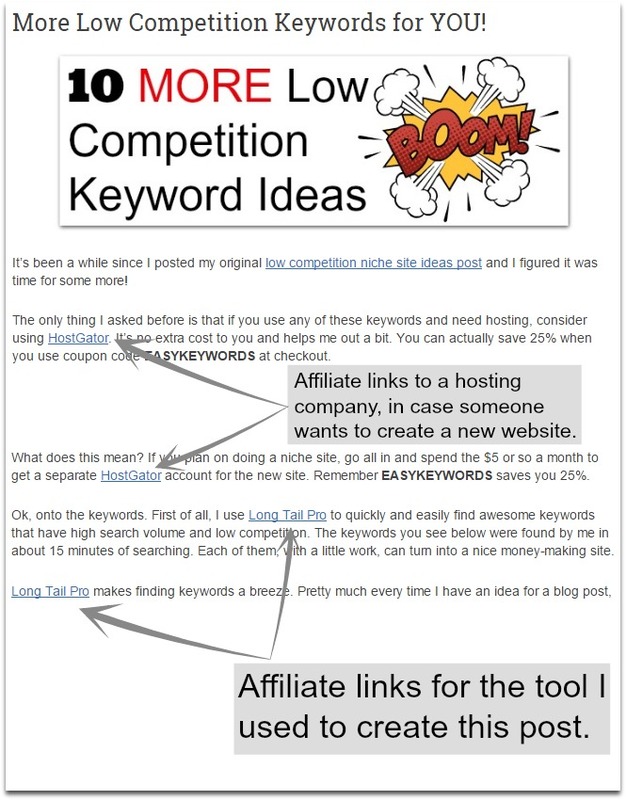 Affiliate linking is not a get-rich-quick idea when it comes to blogging. 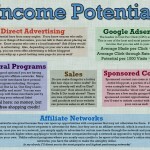 You will need a significant amount of traffic to generate a large chunk of income from affiliate revenue alone. However, it is one more way (alongside sponsored posts, product sales, ads, etc.) to make money on your blog. Perhaps the single best thing about using affiliate links on your blog is the ability for older posts to continue to generate income. My wife’s blog has had a few different posts go semi-viral (think 10k+ pins) on Pinterest months after posting. Since the posts had affiliate links in them already, we started to see some revenue from these posts that had been, for all intents and purposes, forgotten about. That’s called “passive income” and it’s pretty much one of the best things that can happen as a blogger/online businessperson. 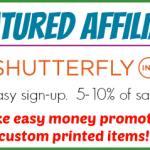 That should be incentive enough for you to start sing affiliate links asap on your blog! 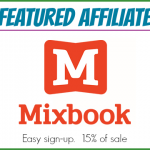 What are some of your favorite affiliates? you always have great resources and tips. I look forward to your newsletters. I am looking for a tool/plug-in when you hover over an item, you see a clickable link to purchase it. Any idea of where to get this? Do you mean when an image is hovered over? This is a great article, thank you for the information. I have been browsing through some of your articles about starting a blog and trying to understand affiliate linking. You mention in a different article that you should promote what you like and enjoy. Are there affiliate programs where the company will send you their products to photograph or use? Or would you have to go out there and buy it yourself first, try it, photograph it and then find the affiliate program code and use it in an article or blog you write? I am very new to this, so apologies if this is a silly question. Hi Jason! Sorry for the late reply. The answer to your question is yes, there are many companies who will send you a product to use before promoting it. Also, you can find affiliate links for many items that you already have (shoes, a blender, coconut oil,etc.) through many of the programs I talk about. Most of the companies sending free products will not do it through an affiliate program, rather through a direct relationship- typically agreed upon via email. You are the best! I love everything you post. It Is very informative, helpful and insightful. Thank you so much for taking the time to provide all this information and all the cheatsheets. I look forward to reading more from you. I feel like the nuts and bolts are finally starting to turn in my head. Thanks for breaking this concept down to a level that’s relatable for the new kids on the block! How do you choose which affiliate network to use for your links? 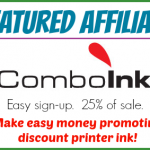 I use whichever affiliate pays the highest commission on the product that I plan on linking.